First was The Mandalorian and next is Cassian Andor. Obviously, this is incredible news. 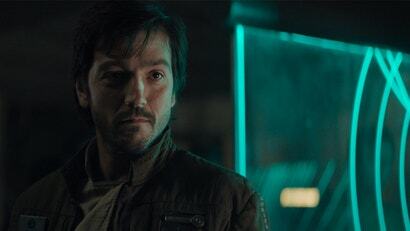 Andor was one of the best parts of Rogue One, his relationship with K-2SO obviously had a lot more to it, and Luna’s performance seemed to just scratch the surface of Cassian’s past. It certainly felt there were a lot more story to tell about his role as a spy in the Rebellion, and it was just a matter of how it would be told. We’d hoped for a book or maybe a comic (and got one of those), but now we’re getting this series and it’s simply awesome. There’s no release date for this show or The Mandalorian, or even a launch date for Disney+, to be frank. But look toward 2020 or 2021 on your calendars.